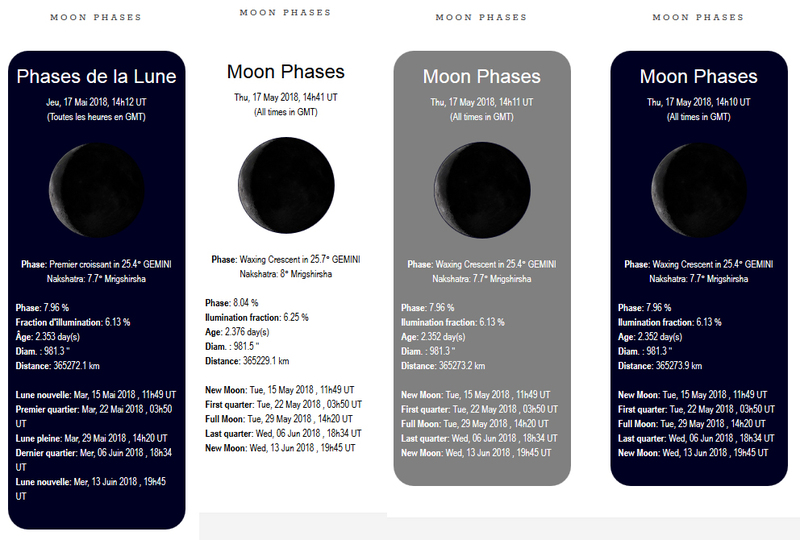 •	Current moon phase, with medium resolution image. 140 automatic color templates. •	Technical and general details, like age (in days), iluminated fraction of the disk, phase percentage, distance, angular size (in arcseconds), name of the phase, sign position in the tropical system, and nakshatra sign and position in the sidereal system (using Lahiri’s system). 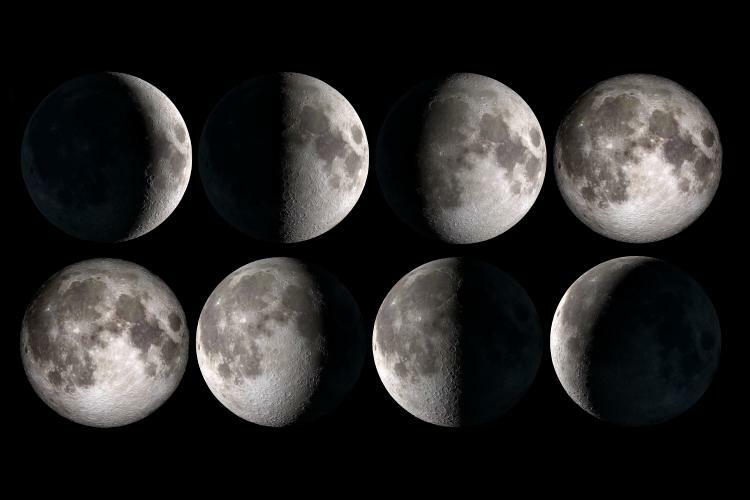 •	Previous and next phases: LUNA also displays the five major phases dates around your current time, in a cycle from one new moon to another. •	For universitaly, times are all in UT (universal time) referred to Greenwhich. •	It does not requires or depend on third party services. 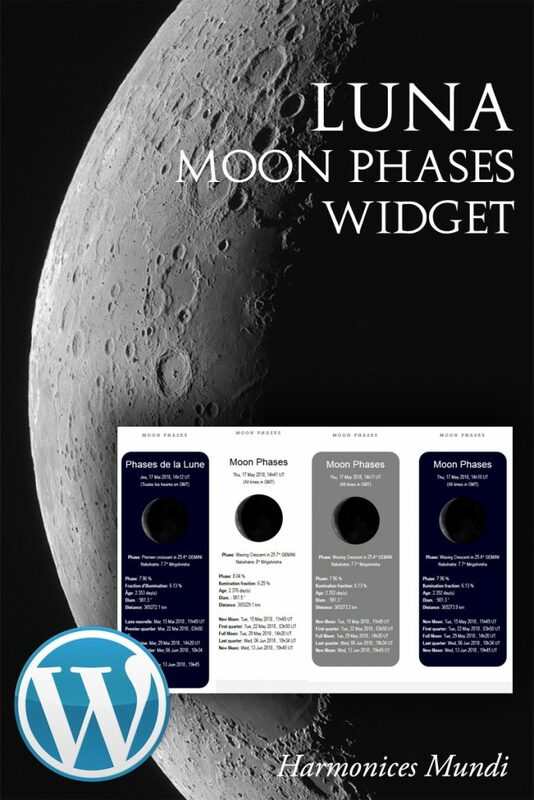 This is a small example for LUNA – integrated as a Moon Phases Widget. 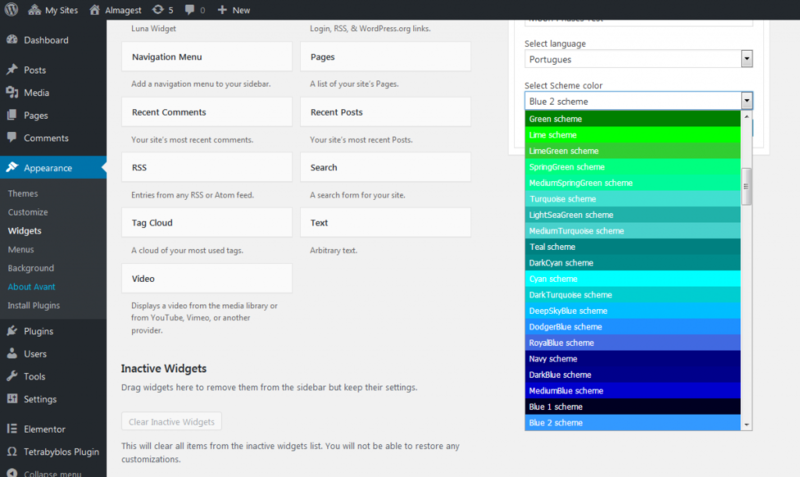 At your top right (like in a common sidebar of any template) , you can see an example of its implementation from the widgets admin area. LUNA features 3 languages (english, portuguese and french) and 140 color schemes). There’s also a simple shortcode integration with all the parameters required for full control (background and text color, language, and north/south viewing location.